Last week I attended the 5th Oculus Connect Conference held at the San Jose McEnery Convention Center. This two-day conference is held annually during the fall, which showcases the new virtual reality technology from Oculus. It was my second time attending, and it felt even better than the last one. During the Keynote address, Zuckerberg announced a wireless headset that doesn’t need a cell phone, and an external computer. The Quest, a standalone headset with 6 degrees of freedom, touch controllers and is a potential game-changer for the VR industry. If you are familiar with the Rift and the Oculus Go, the Quest would be a marriage of the two. The Quest is scheduled to come out this spring and will be $399, and a lot of the Rift titles will be available on the Quest. While unfortunately, I was not able to try it, the feedback that I heard from others was positive. The tetherless aspect of the headset creates a more immersive experience and doesn’t feel confined. While the graphics capabilities of the headset are not as high as the Rift, they are good enough and don’t hinder the experience. Plus the optics, as well as the sound, have improved from the Oculus Go. On the downside, the Quest is reportedly top heavy and a denser headset than the Go, which I find the Go to be more substantial than the lightweight Rift. Since the Quest has four inside out cameras on the front of you, if you move the controllers behind you, you could potentially lose tracking. Hopefully, they will make these adjustments before it launches in the spring and add tracking on the strap. I can see much potential with the Quest, such as eSports, education, businesses, medical, engineering, set design; the list goes on. 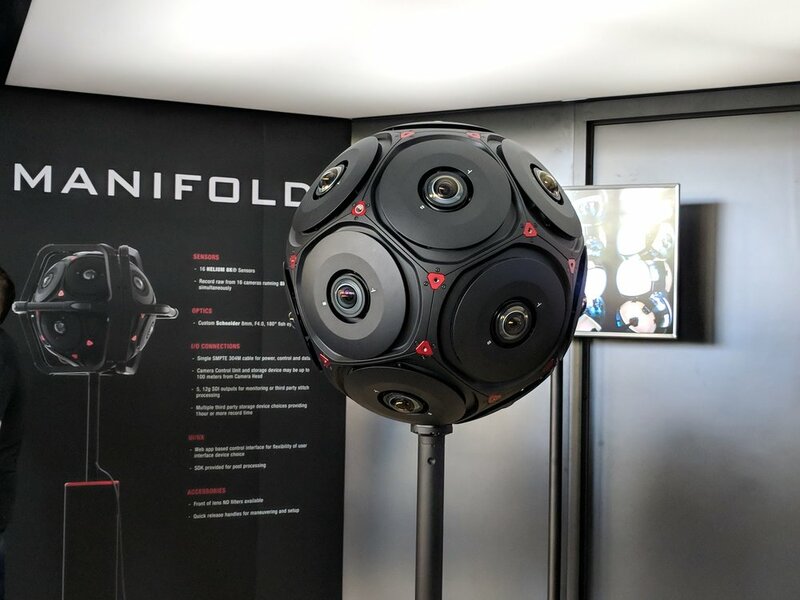 The possibilities are endless, and for the price point, it could substantially increase VR users. Considering that the Quest will be the price of most gaming consoles, without the need of television or home set up. Walking around the conference was lovely, I felt like a kid in a candy store seeing people putting their full body into the Quest. The well-orchestrated design layouts and theme of the different experiences were terrific. It was a pleasure hearing eSports commentary and cheers as competitors go head to head playing Echo Arena and Onward. Seeing the VR community connect, share laughs, smile, and have a good time, warmed my heart. I enjoyed watching people play the Dead & Buried Quest experience in a large arena and seeing their digital avatars battle each other on screen. I can see more VR arenas being built specifically for the Quest, kind of like skate parks, or soccer parks, but with a sports stadium vibe. 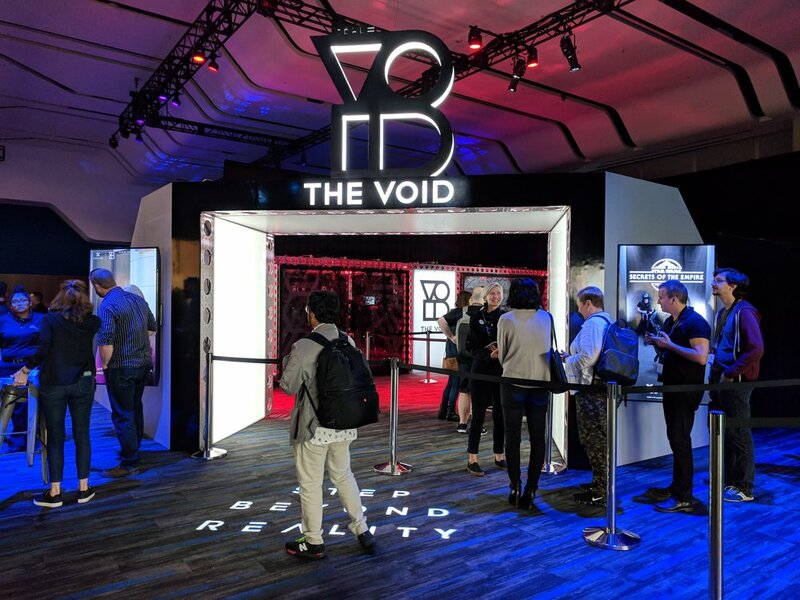 While I was at the conference, I tried a few experiences like The Void - Star Wars Secrets of the Empire, which is a full sensory VR experience. You are an undercover Rebel fighter disguised as a Stormtrooper, as a user you get to interact with your teammates fully, feel, and smell the environment around you. It was a fantastic experience, and I would encourage others to try it at one of the nine locations. Another experience I tried was the Wolves in the Walls a VR adaptation of Neil Gaiman’s book and created by the company Fable. The audience explores parts of Lucy’s house to try and find hidden wolves in the walls. It was a more intimate experience, and Lucy’s performance felt pretty lifelike. The environments and character designs were beautifully portrayed. Overall it was an enjoyable VR experience. I also played a multiplayer combat experience called Conjure Strike by The Strike Team. It's an engaging multiplayer experience, which you can play as a different rock like characters that have different classes like an Elementalist, Mage Hunter, Earth Warden and more. The multiplayer session I had played was similar to capture the flag game. One player has to push a box toward the other side while the opposing player stops the player. It was a fun experience similar to that of Overwatch but in VR. The multiplayer mechanics were excellent, but some of the controls felt foreign to me. 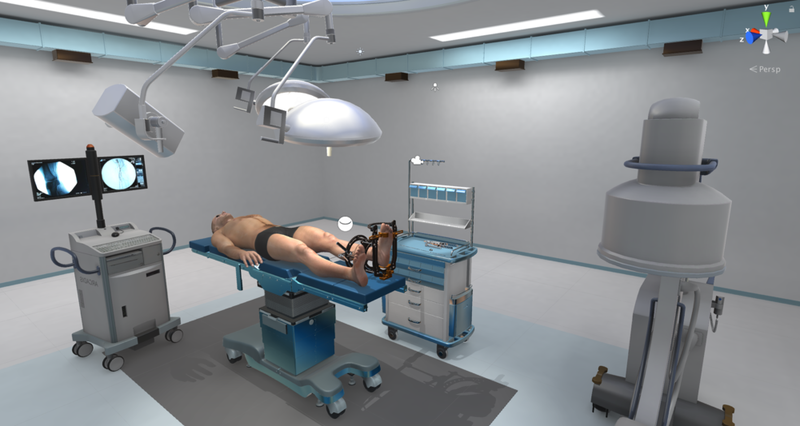 Overall it's an engaging game that seems like it would be popular amongst most VR users. While I didn't get to play as many demos as I would have liked, I enjoyed the ones I experienced, especially The Void. It was the most immersive experience I tried, the few things I would change is to update the headset and enhance the outside temperature and wind strength. I'm looking forward to more development put towards, the Quest and I'm optimistic about the future of VR. As a team member at The Danse, I am excited to work on projects utilizing immersive technology such as virtual & augmented reality. Also, to work in an industry, the is ever changing and improving. It’s nice coming back to the Oculus Connect Conference and see the community excited about the future of VR.